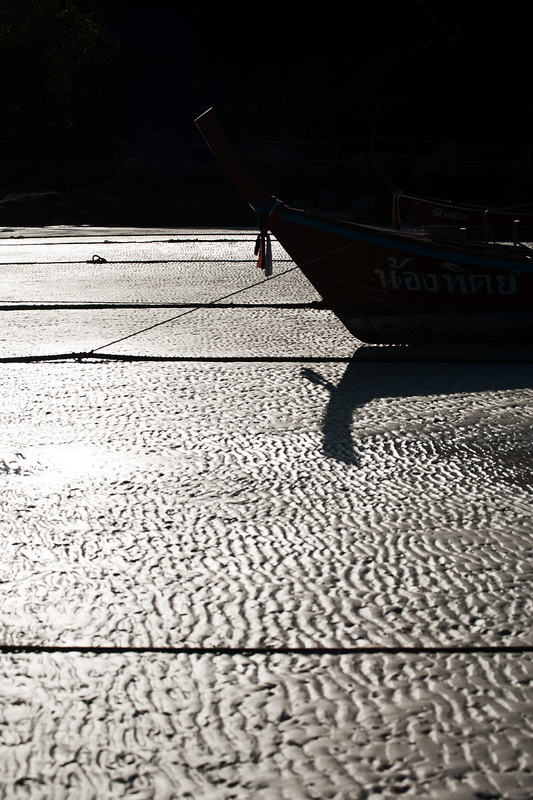 A longtail boat waits grounded on a richly textured sea floor. Continuing the theme of yesterday's patterns and textures, I present more patterns and textures today. 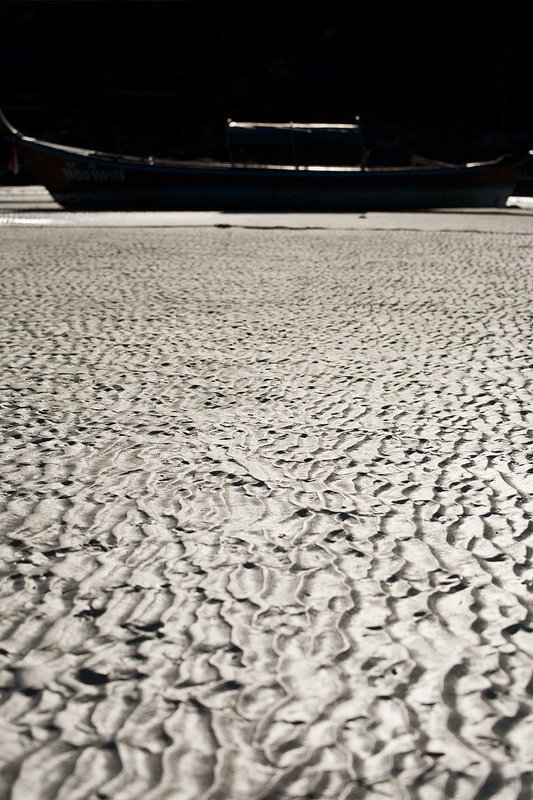 A grounded longtail boat is seen tied to ropes on a richly textured sea floor. Not much more to say so I'll go on a mostly unrelated tangent. I saw one of my first movies in months last night after receiving several consecutive recommendations to watch it. You see, the rough and tumble life of a homeless travel photographer leaves little room for leisurely pursuits, particularly after my aged bones are worn down by work-onset Photoshop fatigue. If you haven't yet, go see Into the Wild. Apparently, it's years old but my life is devoid of popular culture due to the lack of advertisement and media bombardment. As a result, I miss some desired signals in addition to the overwhelming sea of noise. And speaking of noise, I just found out a week ago who Lady Gaga is and her popularity baffles me! Because I get this question sometimes, the most memorable quote for me in the movie was the main character's response when asked "What are you running from?" "I can ask you the same thing." I'll have to use that one from now on.